When we decide to start a training plan to lose weight or get fit, we are looking for various options to find the best results some start with spinning, aerobics, Zumba, cardio, etc. The High-intensity interval training (HIIT) training is very successful ways when we want to lose weight quickly in less time. The first things we must do is rule out problems related to the heart or nervous system, and get to train! When we are looking for HIIT workouts to lose weight At first, we have to know before what is HIIT? The HIIT is one of the most effective ways exist to improve endurance and burn more body fat. This is achieved because it improves the body’s ability to oxidize glucose and fat. HIIT training is consist of performing a series which alternating high and low-intensity intervals. In the high-intensity intervals it will be a maximum heart rate of 90% and in the low-intensity ones with a heart rate less than 50% being the low-intensity sections a little longer than the first ones in beginners. Since by maintaining the high rhythm for too long the oxygen is consumed too fast and starts to miss so we recommend in beginners to recover more time by lowering the intensity. We can wrong of thinking, that if we sweat more when exercising we will lose more fat. Not so, sweating only water is lost which then recovers when hydrated. To burn fat more effectively, we must maintain high pulsations for some time when training. According to some studies conducted on this type of cardiovascular training doing so activates the creation of mitochondria, which are responsible for supplying most of the energy necessary for cellular activity, which is improving the use of glucose. Metabolizing glucose more effectively will make our resistance improve significantly. On the other hand, better metabolizing fat will in turn cause us to lower our body fat index. In addition, if we do HIIT for a few weeks, our body increases the ability to oxidize fats, which is used as energy the excess fat in our body. It also improves the VO2 max; therefore, improve the state of cardiovascular form with what gains in aerobic resistance. 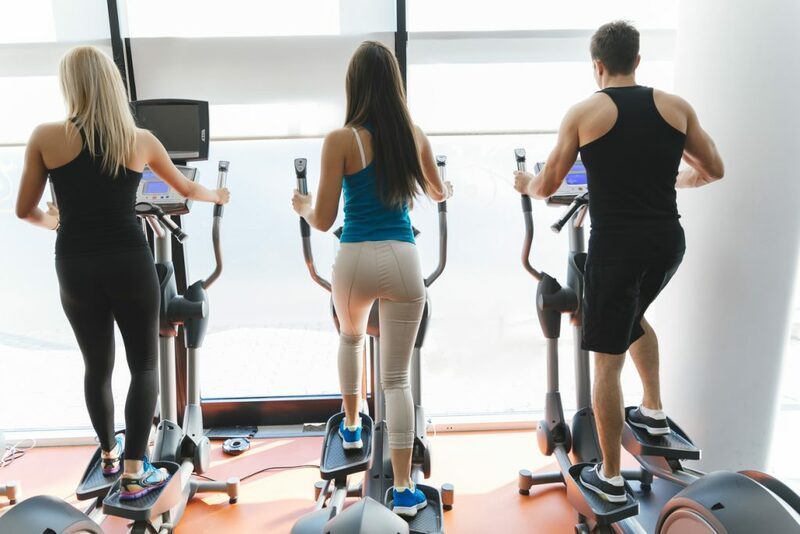 Keep in mind that, this type of cardio helps increase metabolism even after hours have passed, so it is much more interesting to lose fat than the typical cardiovascular training in which an adjustable heart rate is always maintained between 70% and 80%. 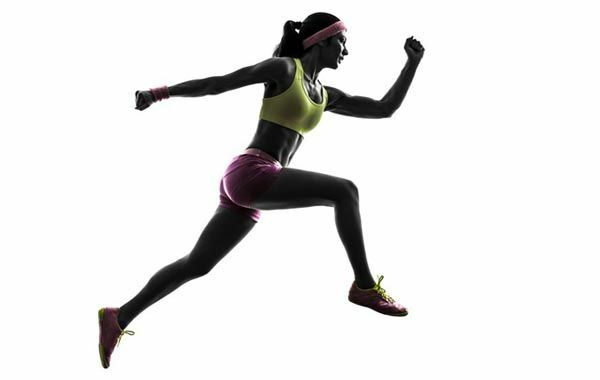 High Impact: HIIT routines are usually composed of high impact exercises for your joints. So mind it, if you have any condition that prevents you from doing we recommend low impact alternatives such as swimming, riding a bicycle, using the rowing machine, etc. Good for Intermediate-Advanced: Due to the intensity that achieved with the HIIT, it may not highly be recommended for beginners. The heart rate raises a lot in this type of routines so it is convenient to have a history of training. Determination: To make HIIT part of your frequent workouts, you must be very motivated and have the physical stamina to force yourself to break your limits. If you are not used to such intense exercises, you should start calmly and slowly increase, so your muscles and joints will be conditioned and you will avoid injuries. Before going to HIIT workouts to lose weight we have to know about this benefits. The curious thing about high-intensity interval training is that they are beneficial in reducing body and muscular fat. All these exercises that which performed in short cycles. Yes, the truth is that HIIT training has become the favorite routine for those who want to look fat-free body and lose weight firstly. For me, HITT has become one of the best methods to lose weight. Of course, it helps to reduce the fat from your body in an indirect way. For once you accelerate the metabolism for the high intensity- the calories are consumed at the end of the training. This matter of fitness is popularly known as the burning of calories “at rest”. Very interesting, is not it? It has proven that training in high-intensity intervals optimizes the hormonal ecosystem by stimulating muscle growth. It doesn’t matter what I say, science says through various studies, where it has been discovered that this activity promotes the separation of testosterone and growth hormone. All this information leads me to conclude that the mix of this type of training with proper nutrition can quickly bring you closer to your goal of increasing and toning muscles. It is to be supposed; The HIIT training also contributes a lot to the improvement of the aerobic capacity. Do you find it difficult to imagine? Well, the amount of oxygen that the body absorbs, transports and metabolizes during the activity, allows your level of resistance to grow thanks to the energy metabolism improves. Of course, your resistance level will not increase in a few days, but it will grow as you train frequently. I already talked a little bit about this at the beginning, but it is inevitable to emphasize that the HITT is a way to go one step ahead of the “time factor,” especially when you spend days working or attending other essential responsibilities. It happens to almost everyone that we go through stages where we are bundled with trips, exams and other priorities that do not leave us almost time to exercise at home. For these cases, there is no better solution than the training of high-intensity intervals. I say this because you can perform short-term physical activities that offer similar results, even better than other disciplines that take more time. Yes, I must mention that HITT training can last about 8 minutes to 30 minutes, everything will depend on the exercises you include. Why is HIIT better than regular cardio? 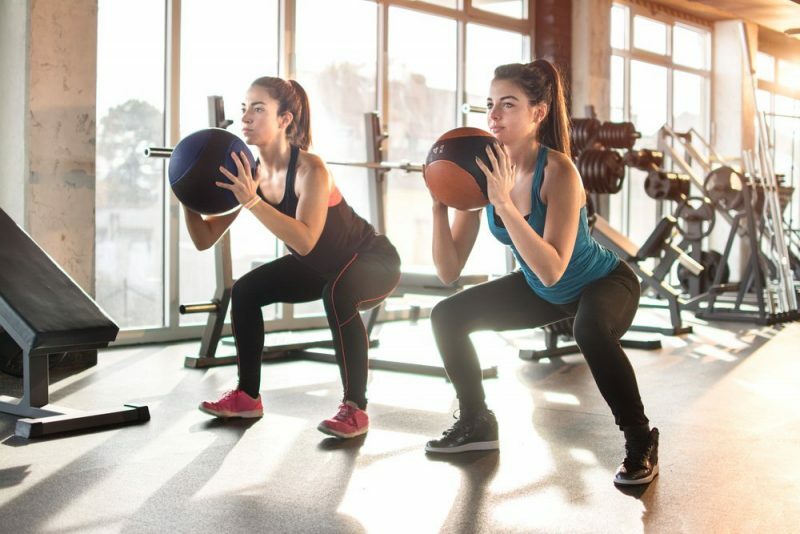 Analyzing it well, this high-intensity training is a cardiovascular activity that compared to traditional cardio exercises lasts less time and combines more explosive moments with more demanding cardiorespiratory levels. For this and other reasons, HIIT is better than regular cardio, although many fitness experts do not like to use the term “best” when comparing different disciplines. But to say that, it is not better is impossible because with this type of training we took our heart to 85% of maximum pulsation, all in short cycles and combined with other brief periods in which the rhythm is lowered. In this way, you can optimize the cellular work of your body since mitochondria are stimulated in the organism which translates into better glucose administration and energy transformation. All this explains HIIT is better than normal cardio. The ideal of HIIT is to do it in any corner of your home, either in your home gym or in the room. I’m not going to lie to you; the freedom offered by this type of training is one of the things that impressed me the most from the start. The reason is simple; you do not need any specific gym machine to perform the activity. At the most, you will only need a mat to do particular exercises on the floor. Shadow boxing (“hit” in the air from different angles). Do not forget that each of these activities must be performed at intervals of 30-40 seconds and, the rest interval has to pulsate between 10 and 20 seconds. As I said, a HIIT session at home could last from 20 minutes to 40 minutes. First of all, for you to do a better HITT training at home, you should make sure you choose a routine that you feel comfortable with, and above all that the level of demand is acceptable and you are not going to demand too much from your heart. Do some stretching before you start training. Remember that you are going to perform quite demanding exercises and this is a way to reduce the risks of injuries. An excellent HIIT routine is composed of 7 to 15 different exercises. Less than 7 will not be enough to work all the muscles of the body. It does not have much consistency to include more than 15 exercises. So, if you want to increase the intensity, you just have to repeat the routine 2 or 3 times. Choose the most appropriate place in your home to carry out the training. Make sure it is a safe place and does not have a slippery floor. You must choose a space where you can move freely, without tripping over furniture, walls or gym machines for home. Wear comfortable clothes and shoes to train. This could help you avoid discomfort or injury. It is necessary that the intensity between two consecutive exercises varies and that there is a rest cycle of 10 to 20 seconds (minimum). Repeat the same routine (with which you feel comfortable) at least 2 or 4 times a week, alternating days. In this way, you will achieve results in the short and medium term. If you are a professional athlete you can add vests or ankles with weight to the training to increase the level of demand. Are you a beginner? Forget about this. Of course, you can not miss the chronometer or one of those digital clocks with a minute hand so that you can see the time intervals of the exercises and the rest cycles. You can also use a stopwatch app. This guide would be incomplete if I do not recommend a HITT routine for beginners who want to experiment with this discipline. Although the routine that I will share can also be very useful for experienced athletes if they repeat it 2 to 3 times. My recommendation is that you do each exercise in a period of 30 seconds and you stop every 10 seconds between each activity to rest. And if you are going to repeat the routine, increase the recovery time to 1 minute. A lot of attention, this HIIT workouts to lose weight routine is designed only for athletes with high resistance or who are experienced. Each exercise you will perform for 30-1 minute at the levels indicated (with intensity or moderation). As for the rest cycle it should be 20 seconds between exercises and you rest 1 minute when you reach the middle of the routine. If you have machines at home for exercises you can also use these to perform high-intensity workouts. If for example, you have a treadmill at home then you will want to run around 30 seconds and rest another 30 seconds. You can do it until you reach a total of 7-10 minutes between running and breaks. In the same way, you can do it with a static bicycle or an elliptical. Remember that when you run in one of this gym equipment you will use them with great intensity; At the end of 30 seconds, you will want to feel that you lack air and you can not run anymore. But be careful, be careful not to have an accident.